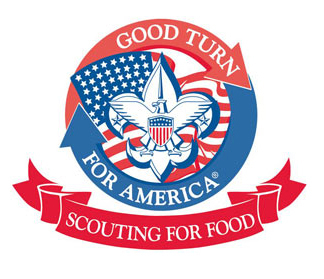 On the first Saturday of the drive, Scouts from all over Marin place hangers requesting canned and non-perishable food items on the doors of their neighbors. The following Saturday they return to pick up the food and take it to the Marin Food Bank, where lunch is provided. Maps are distributed from Council and our boys go out in small groups with at least two adults from the Pack in each group. Wearing our Class A uniforms shows our community respect as we ask for donations to feed those less fortunate. Boys who participate in at least one day of this family friendly event receive a patch for their brag vests.